Recently I opened another online shop, this time on Made It, an online marketplace for Australian shops. At this stage I am keeping the Made It shop for functional ceramic wares only, and the design line is different to the wares on Etsy – so you can shop from both stores with no overlap!! As with the Etsy store all products are unique, and custom orders are welcome. Being a shop stocking tableware custom orders can include table settings – for example four bowls, a set of coffee cups or a set of condiment bowls. Why set up another store? While Etsy generates huge amounts of traffic it is also highly competitive, which is not a bad thing, but it has made me consider the worth of having multiple online presences – well its worth a try, right? So, without further ado here are some images of the works I have in my Made It store, and I will be adding more over time. And, of course, some of these beautifully crafted wares would make great Mothers Day pressies! And postage is free Australia wide! I do try to keep international postage at the minimum, and lower postage is calculated for multiple orders. My most recent saggar bonfire was two weeks ago on the 16th November… we needed to clean up the underbrush from the property for the summer season, and whenever that happens I don’t pass up the opportunity to put some small works into the fire. I am very happy with the outcomes, and will be making jewellery with the finished beads once I return from Italy. I am also happy with the little experimental teabowls I fired, and will definitely be doing more of those little gems. The photo gallery below shows images of the process and step by step descriptions of the process. Click on the image for a larger view. The ingredients – yes including the champagne! Then a bowl with sawdust, mixed with copper, salt and iron oxide..
Handcrafted Christmas Gifts – buy from small business and individuals this year! There is only five weeks till Christmas, so shopping time quickly passing by. The simple solution may seem to go to a large department store, and buy everything in one frenzied spree, but why not consider buying from small business and/or self employed people this year, rather than from multinational companies? Shopping online is a great way to accomplish this. Not only is it a time saver if you are feeling the rush of festive season, but it also provides easy access to a whole assortment of small businesses, individuals and artists that sell online. An added bonus is that usually these business are more sustainable and more ethical. These are people who are interested in customer satisfaction, and your goods are delivered to your door – what could be better? My online store is on Etsy, along with lots of other artists and crafters that make a wide array of handcrafted goods. As some regular readers will know my speciality is ceramic jewellery and tableware, but I also have upcycled button jewellery, ceramic buttons, and original artwork blank greeting cards. And I hope to be introducing a new line of tone jewellery in the next day or two. To ensure Christmas delivery orders must be placed in my shop by 26th November. This is because I am going overseas to exhibit in Florence, but also because the post can be pretty swamped at Christmas, so the more delivery time the better. In July-August 2011, I was lucky enough to be invited by the Korean government to participate in the annual Gangjin Celadon Ceramics Festival where, along with other international ceramicists invited from the USA, Israel, Pakistan and Germany, we exhibited in an international ceramics exhibition and demonstrated our making techniques during the festival. In return for our participation we were provided with yummy Korean meals, accommodation, and were treated to workshops devoted to local and traditional techniques given by Korean potters. Korea has a long history of invasion and cultural assimilation, from the Mongols in the 13th century, the Japanese in the 16th century, and the Japanese again in 1910. 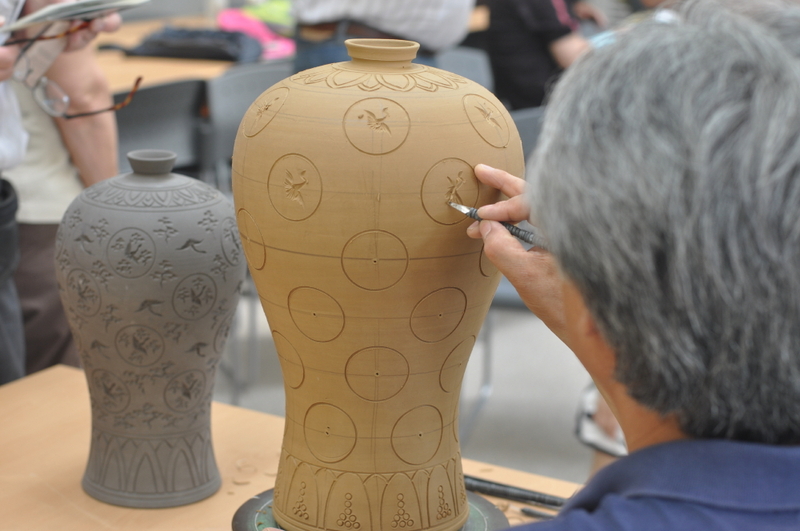 Since independence in 1948, there has been an emphasis in Korea on revitalising cultural identity: the Gangjin Celadon Ceramics Festival has become a beneficiary of this South Korean government initiative. As a group we began by arriving at Seoul Airport then travelled to Incheon, where we stayed overnight. Then we bused it way down to the other end of South Korea, Gangjin, where we stayed for a week while joining the festival. The actual festival was a fantastic experience, with many new friends made. As ceramics has a huge cultural identity in Korea, the festival was visited not only by ceramics ‘geeks’ but by families and general members of the community who were treated to market stalls, hands-on making marquees and traditional tea ceremony experiences. The second week of our stay we all climbed on a bus and embarked on a Korean government subsidised ceramic tour of South Korea. 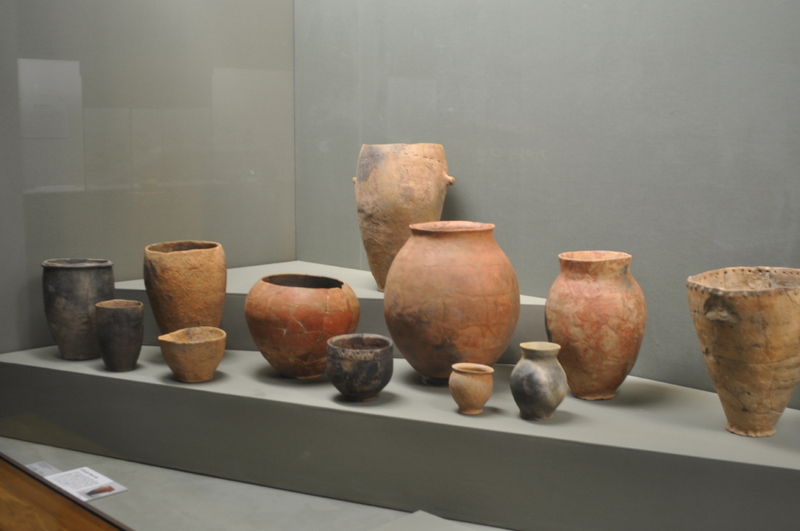 The tour involved visiting National Treasures, Master Potters, Tea Masters, Temples, Museums and Galleries. It was amazing! The following week’s tour was a marathon effort, though well worth the on and offing of the bus. It is hard to fathom the value the government and people put on ceramics, when one comes from Australia, where artists have to struggle to make ends meet, and many give up altogether. In Korea ceramicists are well respected, and some are national treasures (and this is noted on posts outside their homes) or have titles as officially developing, maintaining and handing down certain ceramic traditions. While on tour we travelled from Gangjin to Boseong to Hadong to Gimhae to Busan to Ulsan to Gyeongju to Daegu to Mungyeong to Suanbo to Yeolu to Icheon, then back to Incheon then on to Seoul, where we stayed in Insa-Dong, a suburb of Seoul. Here we were able to stay a few days and nights to explore and have free time. Insa-Dong is the cultural & arts hot spot of Seoul, and the food was great. Of course I did my fair share of shopping while in South Korea, both at the festival and while on tour. As well as clothes and present for family I also purchased some beautiful tableware and tea-bowls. I had previously been exposed to the ‘tea ceremony’ via my research of Japanese Ceramics, and like most people believed that this is where all the tea traditions were founded. My Korean experience, and the knowledge I gained, particularly while on tour, changed this notion and fuelled my interest in this area of ceramic history. As a result I am currently compiling a book of my Korean experience, containing a brief history of Korea and Tea, and an extensive photo gallery of my ‘tea’ experiences while in Korea. I am constructing the book using Blurb, and hope to have it finished by the end of the month, at which time it will be available to purchase online. 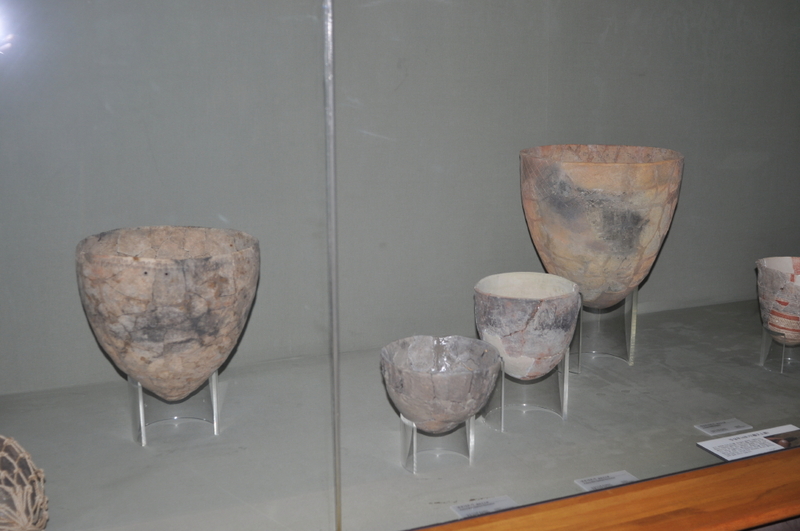 Left & Below: Ancient Korean Ceramics showing tea-bowls in the foreground. I have finally got an Etsy storefront up and running (kind of). My plans had been to have it organised in time for Christmas gift giving… but then the finger tragedy struck… so no go!! 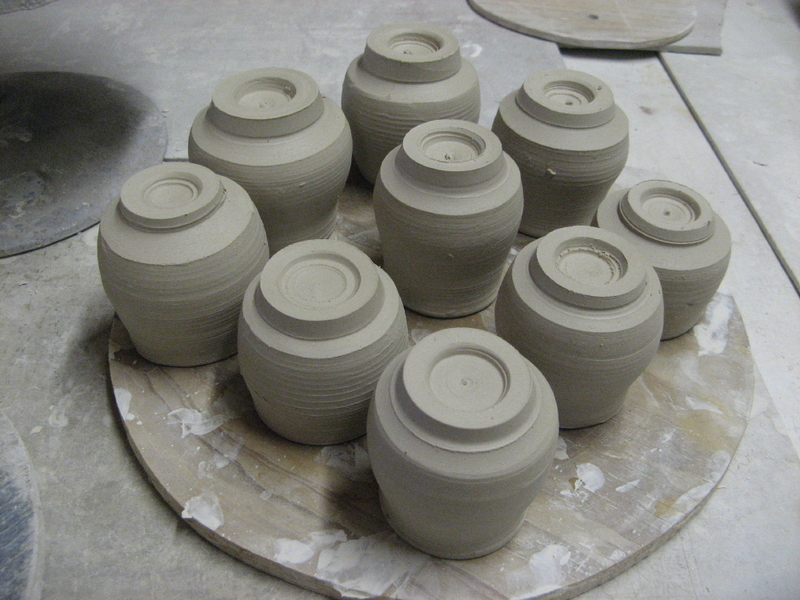 It is still not ideal: for example, I had intended a wider range of condiment dishes available, but I just haven’t been able to do the amount of firing I needed to get done… end of term classes were my priority once i was injured. However, I have a few items available, and I will be posting some jewellery- necklaces and ear rings- in the next couple of days. Most of the items I will stock via Etsy will be both functional and sculptural pieces. They will be smaller pieces, as the postage cost of larger objects makes selling such items cost prohibitive. The following slideshow features images of the items I have currently available for sale… as mentioned earlier a jewellery range will be added within the next couple of days. Usually I create sculptural ceramic artworks… but lately have felt inclined to create some more functional/bread and butter style lines of work. This has been a combination of both financial necessity and recent trips overseas, such as Japan and Korea, where functional ceramics are viewed as both works of art and as everyday objects that make life more enjoyable. In earlier postings featuring condiment dishes and trays, and teabowls/teapots the greenware was shown as works in progress. 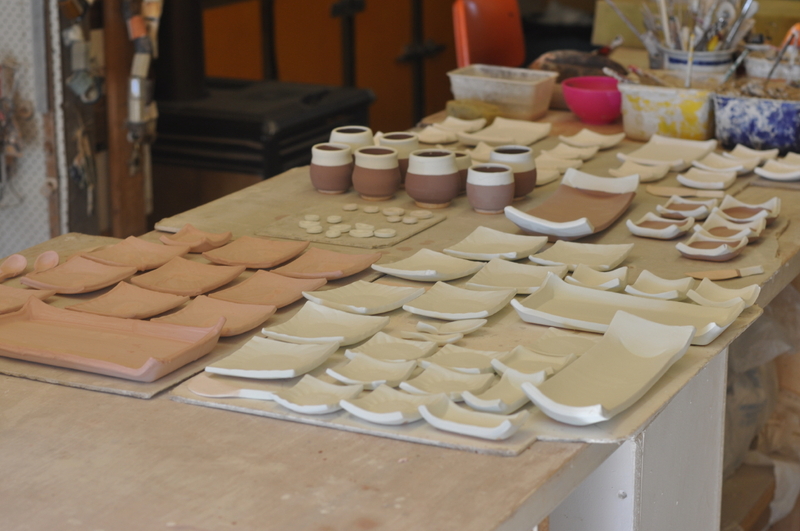 But now the glazed works are ready to go into the kiln within the next few days. Hopefully the results will be great. This is a test batch, with four different glaze combinations, so if all goes well I can glaze lots more. I hope to consign these wares in some local gift/kitchenware stores and sell some on Etsy. 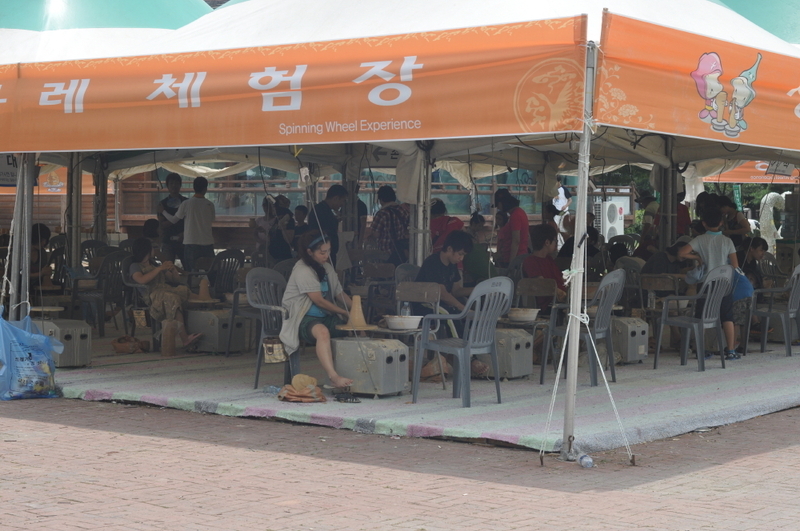 The following slideshow is a collection of images captured during a ceramics tour of South Korea after attending the 38th celadon ceramics festival in Gangjin, South Korea earlier this year. Korea has a long history of invasion and cultural assimilation, from the Mongols in the 13th century, the Japanese in the 16th century, and the Japanese again in 1910. Since independence in 1948, there has been an emphasis in Korea on revitalising cultural identity: the Celadon Ceramics Festival has become a beneficiary of this Korean government initiative. 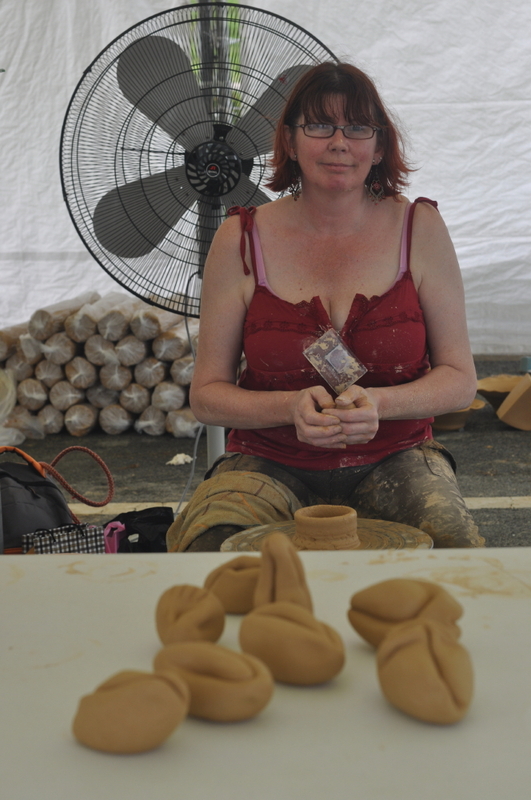 I, along with other international ceramic artists, were invited to exhibit and demonstrate their skills during the festival. Afterwards we were treated to a ceramics tour of South Korea. Due to Korean history there was a strong emphasis on tea and teawares, with which I fell in love. If you are interested in further information about the images there are photo captions on my Facebook site (album one) (album two) or my Flickr site.